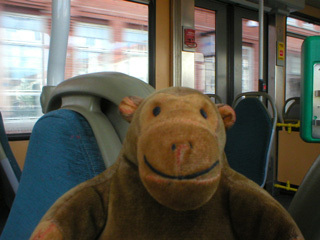 "I like these trams, you know"
Mr Monkey looked out of the window as the tram trundled out towards Kortedala, in the north of the city. 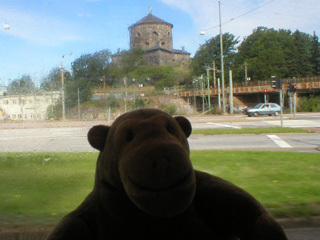 On the way he passed the Skansen Lejonet, or Lion Fortlet, a defensive tower built in 1687-89. It's called the Lion Fortlet because there's a lion on the roof, which Mr Monkey thought was reasonable.